Did you know that you that footwork drill is as important as the body drill? Whether you want to burn that extra fat or prefer to have an increased strength during a game, footwork makes all the difference on your pace and positioning. There are athletes who prioritize upper body workout over legs, and sprints over footwork. 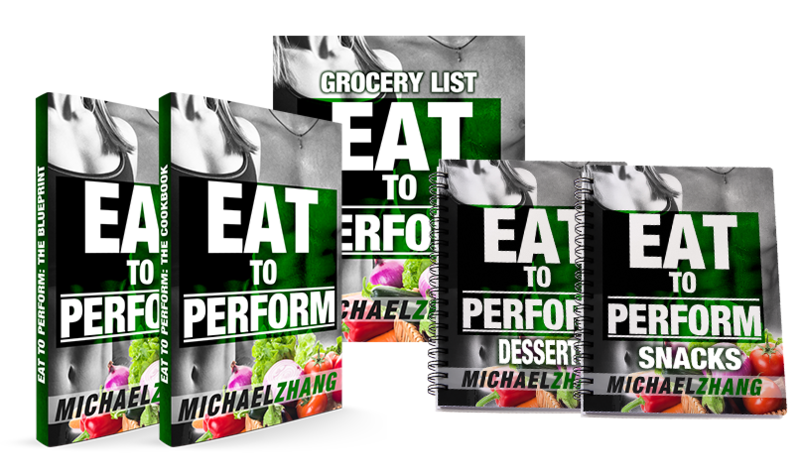 However, there are many sports and workouts that rely on efficient and quick motion. Footwork relates to pivotal movements by feet and legs to maintain balance, control spatial positioning, and create momentum. Moreover, when it comes to drill, footwork is the one major difference between extra run and quick out. One of the key benefits of better footwork is that it reduces your calories gradually. 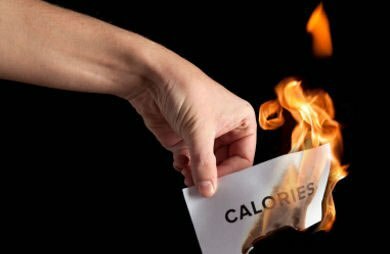 If you want to get off those extra pounds and want to maintain your overall health, don't make huge calorie cuts. It may either reduce your metabolism or kick your body into starvation mode. 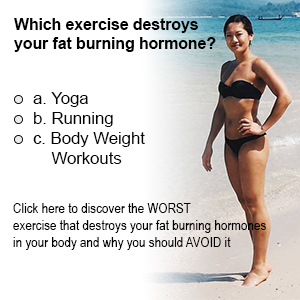 Moreover, it can also make it more difficult for you to burn off the fat. However, when it comes to footwork, it gets your heart pumping and also helps you to burn more calories seamlessly. There is no denying that physical activities like footwork drills, running, and more delays the cognitive decline. According to a 2016 research published on the US National Library of Medicine National Institutes of Health, the cognitive health was favored by physical activity. As you start to work with footwork drills, it benefits memory function, logical sequencing, and other measures of cognitive health as well. Moreover, the hippocampus is that part of the brain that responds strongly to aerobic exercises. Footwork is not only beneficial for cardiovascular fitness but is also advantageous for building up strength. If you are engaged in a weight lifting program or any athletic activity, working on your footwork drill will step up your strength game. Footwork drills enhance the proper biomechanics, shapes up movement patterns, and also increases strength for better sprints, and more. It is one of advanced drills in which the pattern follows a count – In, out, and up. 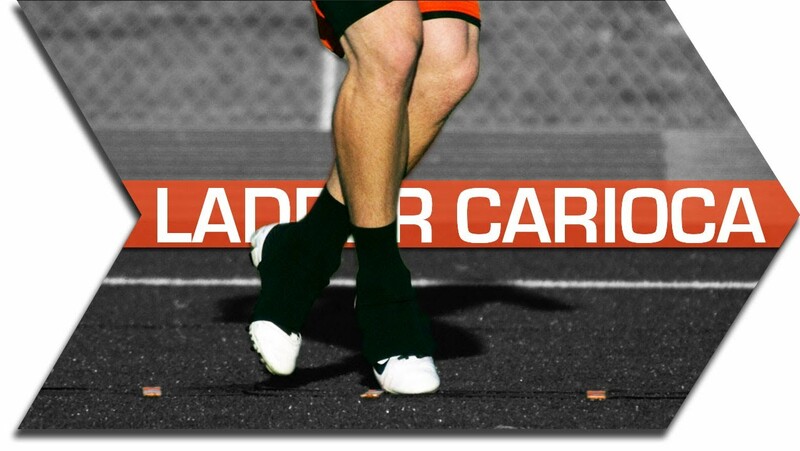 The foot that is in the ladder moves toward the next box. It is another best footdrill that is combination of both footwork and hip rotation. 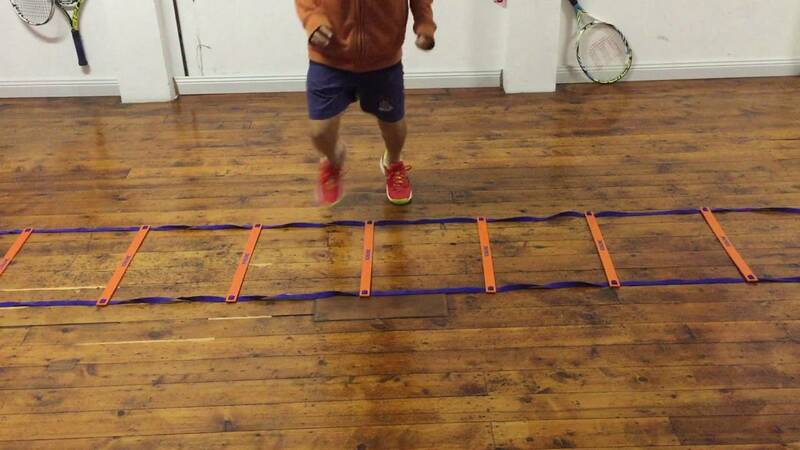 Start with the cross over in front and then touch each box of the ladder with one foot. While you do this exercise, make sure you get the back foot in ladder carefully and swing the foot out in front of you. Learning a good footwork drill is beneficial in a number of ways. 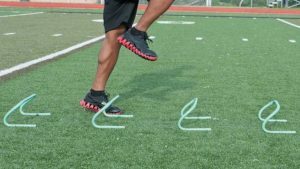 From building overall health to improving cardiovascular fitness, good footwork drill will go a long way in stepping up your game whether it is weight lifting program or sports.